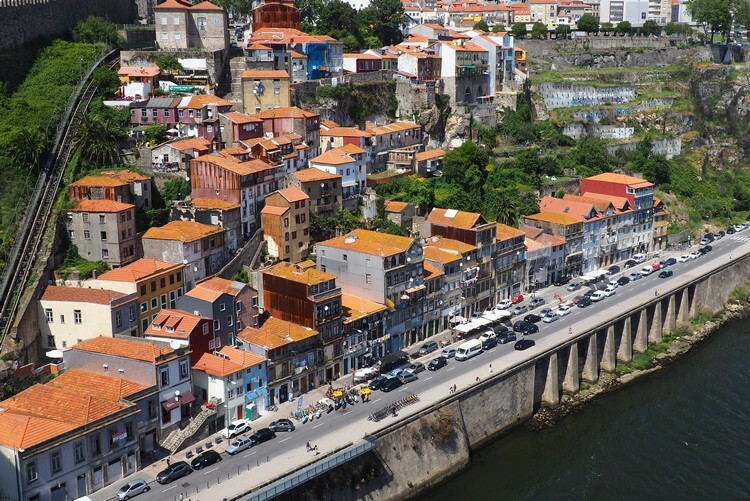 It didn’t take long for us to fall in love with Porto. I believe it was 2 minutes. 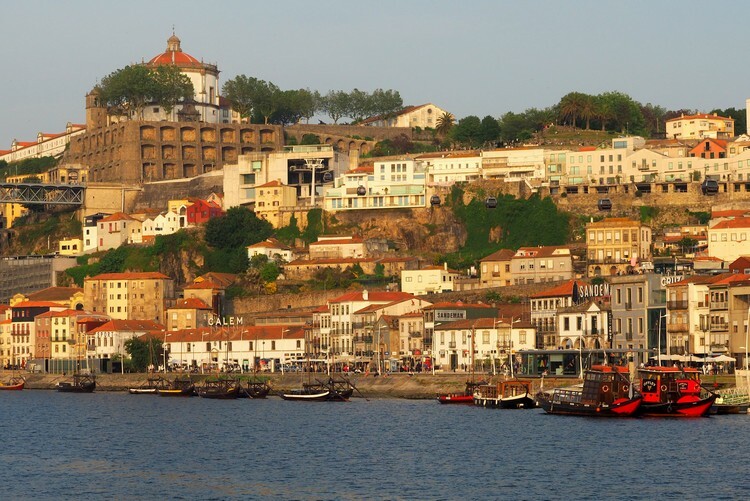 Located in northwest Portugal, this extraordinary city is best known for its river, the Douro, and its famous port wine. It’s one of the oldest cities in Europe and is listed as a UNESCO World Heritage Site. 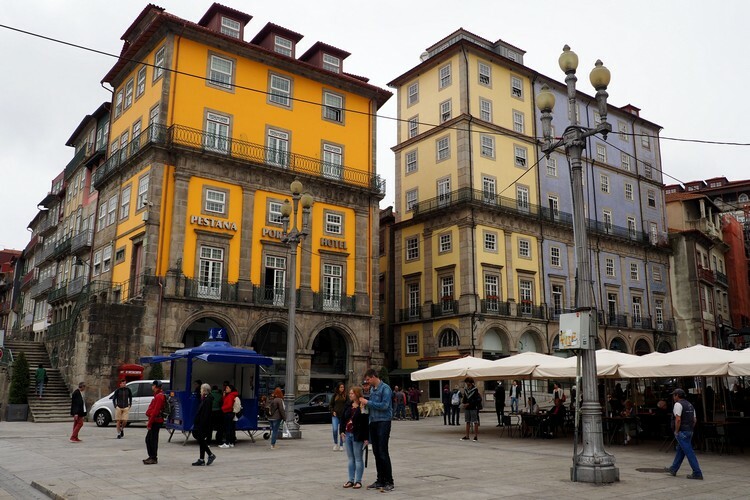 We knew we would enjoy our time in Porto, based on the photos and blog posts we read prior to our visit, but it far exceeded our expectations (as did Lisbon). The old city flows down the hillside towards the river. It’s full of amazing architecture that’s unlike anywhere else in the world. We spent a total of 3 days wandering the city’s tight and windy stone roads, and it wasn’t enough. We could have easily spent another week in Porto. It has a unique vibe that’s difficult to describe. It’s a little grimy and beat up in some parts, evidence from years of economic struggle, yet it’s filled with some of the most incredible architecture that dates back to the Middle Ages. 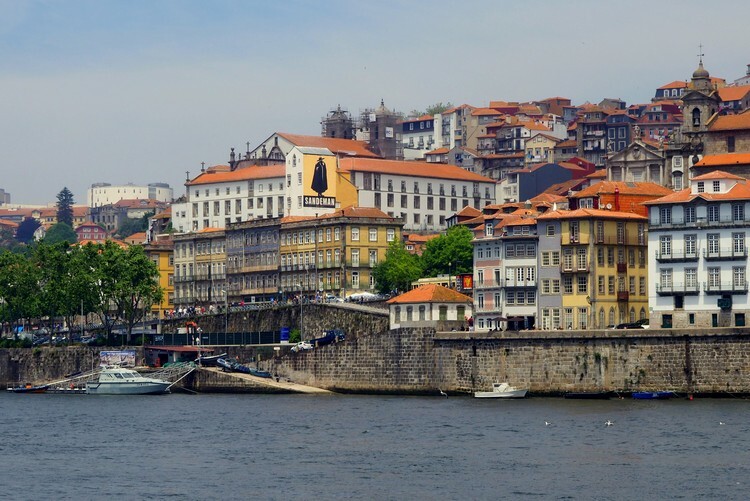 Porto has been continuously inhabited since the 4th Century and its strategic location on the Atlantic coast, near the Strait of Gibraltar and northwest Africa, made it a target for multiple invasions over the centuries. Each period of rule, from the Romans to the Moors, left their mark on the city. The result – a fascinating city with many layers of history, culture and tradition. Below are 30 photos of Porto that prove this Portuguese city should be on your travel wish list. 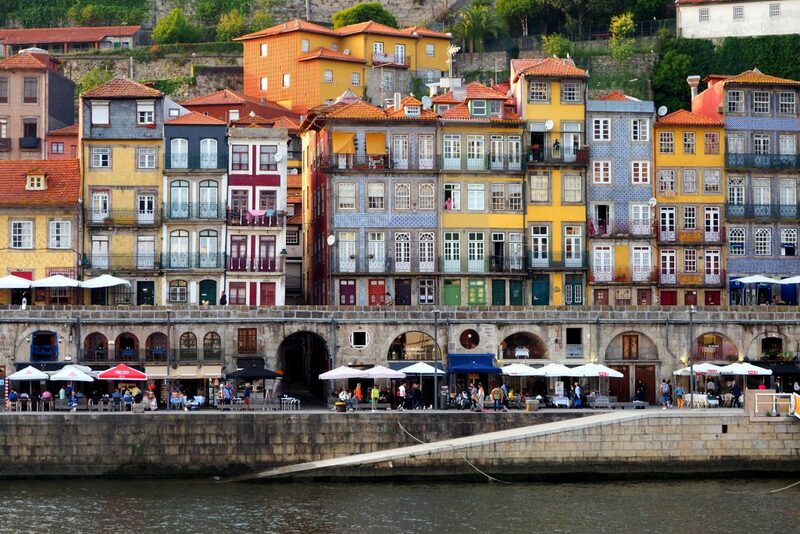 Views of the colourful buildings of Porto. Many of the colours you see are actually azulejo tiles, a ceramic style of tilework that dates back hundreds of years. 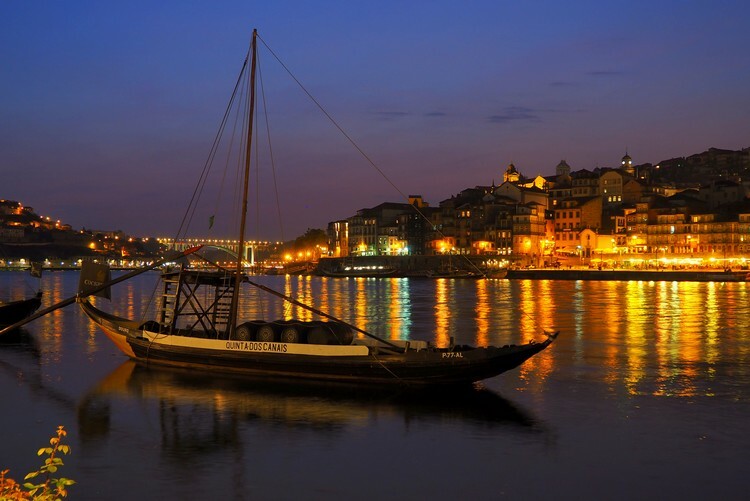 This above photo was captured on the south side of the River Douro from Vila Nova de Gaia. Torre dos Clérigos rises above the sea of red-roofed homes. 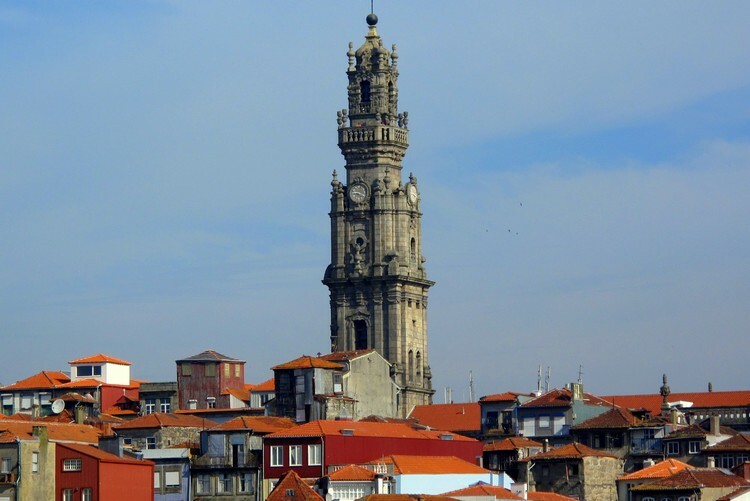 This tall bell tower can be seen from most vantage points in Porto. It’s connected to Clérigos Church, one of the first baroque churches in Portugal. 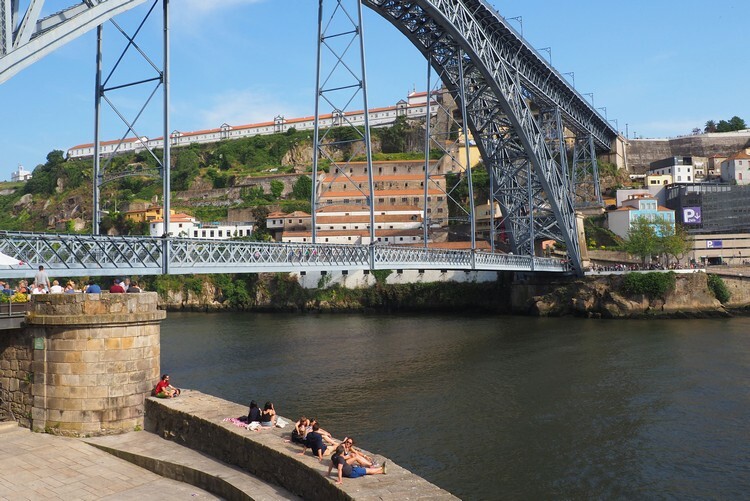 The iconic Dom Luís I Bridge, a double-deck metal arch bridge that crosses the River Douro and connects the cities of Porto and Vila Nova de Gaia. The bustling riverfront promenade is a great place to eat, drink and people watch. 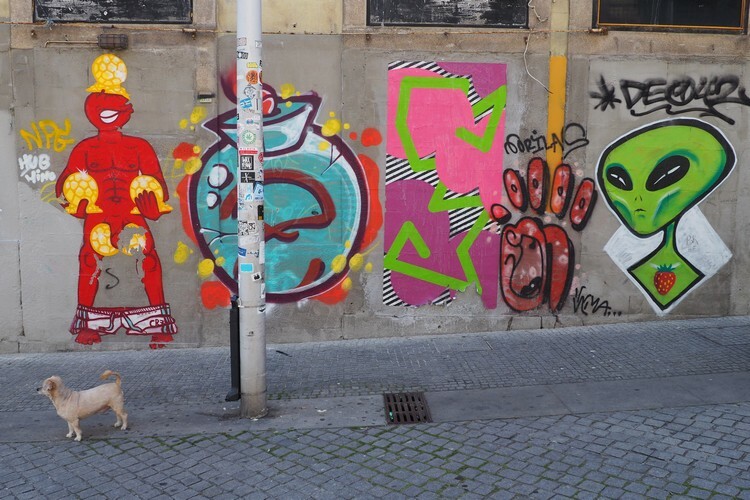 Related – Lisbon exceeded our expectations. Here’s what we did. 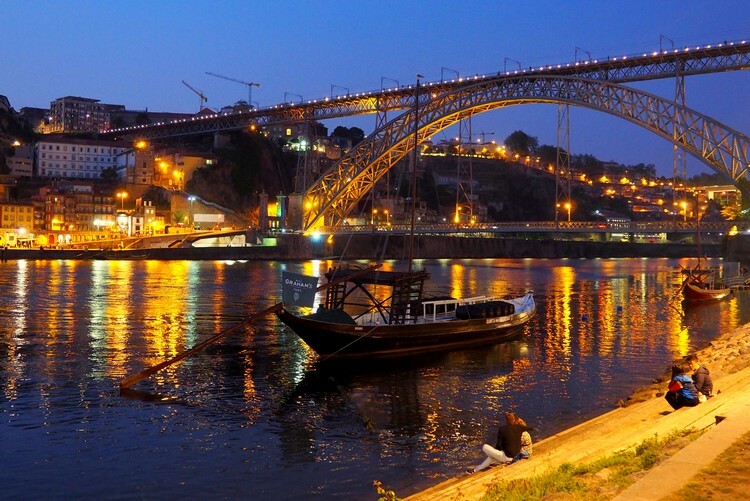 Sparkling blue hour on the River Douro. 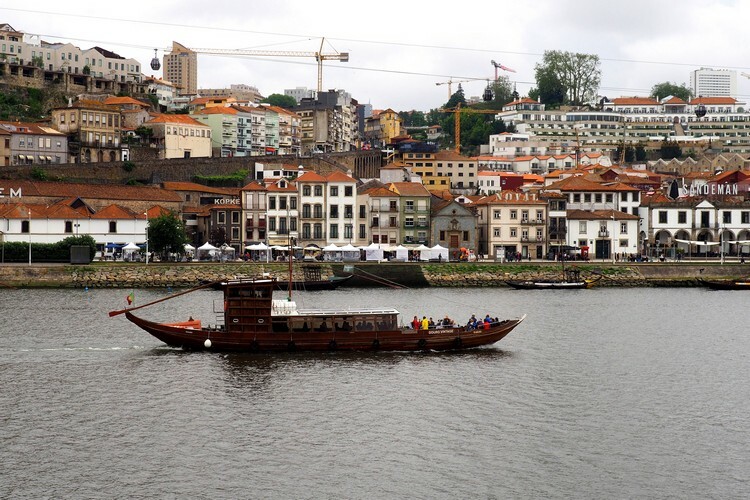 We captured this photo from the sundeck of the Viking Osfrid, the ship we were on for our Portugal River Cruise. Porto was the starting, and finishing, point of our river cruise with Viking River Cruises. 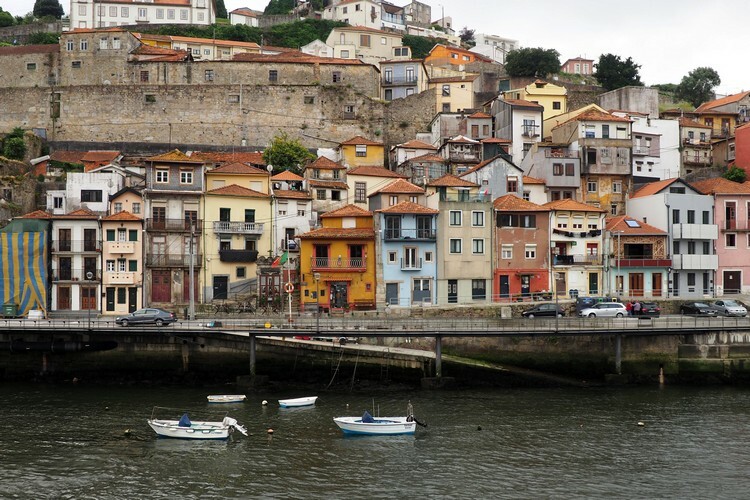 This is Vila Nova de Gaia, located on the southern banks of the Douro. Many of these buildings store hundreds of barrels of port wine. 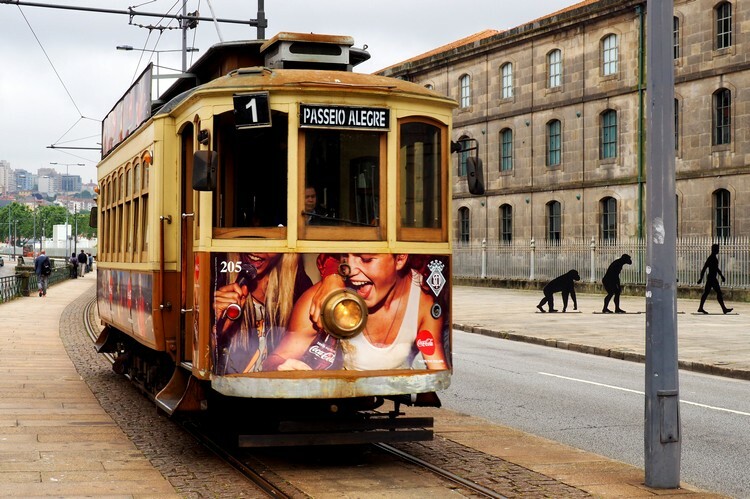 In fact, Vila Nova de Gaia is said to have the highest concentration of alcohol per square meter in the world. 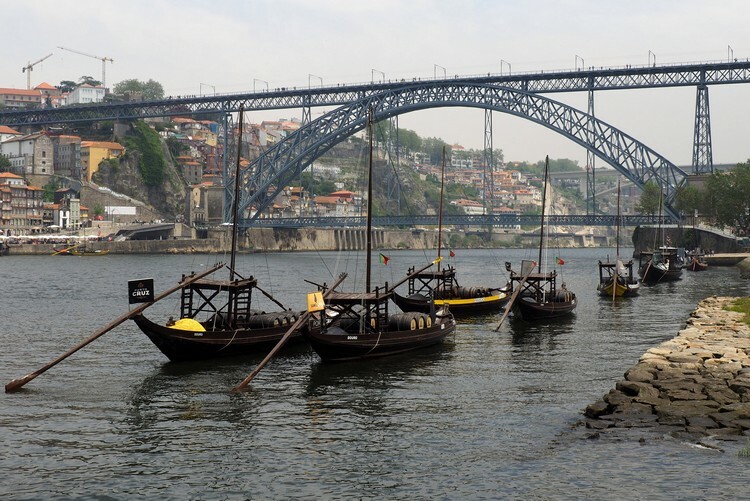 Most photos of Porto will include at least one of these traditional Portuguese wooden cargo boats. 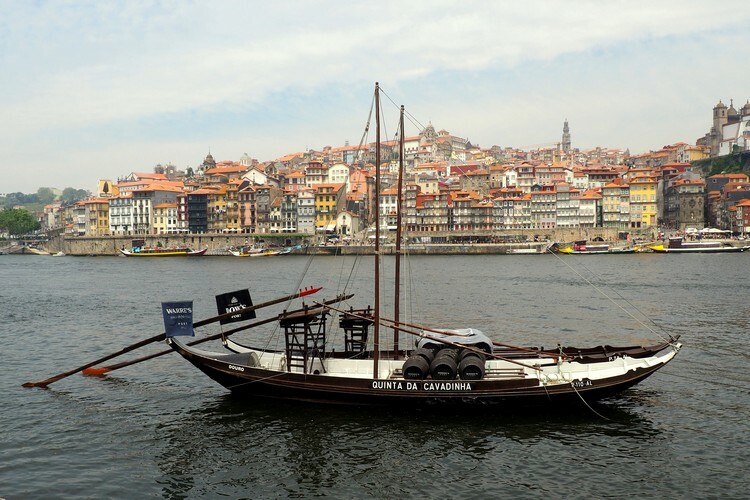 These Rabelo Boats were used for centuries on the Douro River, but nowadays they’re mostly used as the subject for photography and advertisements for local wine companies. I think the above photo might be my favourite photo from our time in Porto. We captured this photo from the upper-deck of the Dom Luís I Bridge. The walkway on this bridge is one of the best spots to take photos of Porto’s stunning architecture. 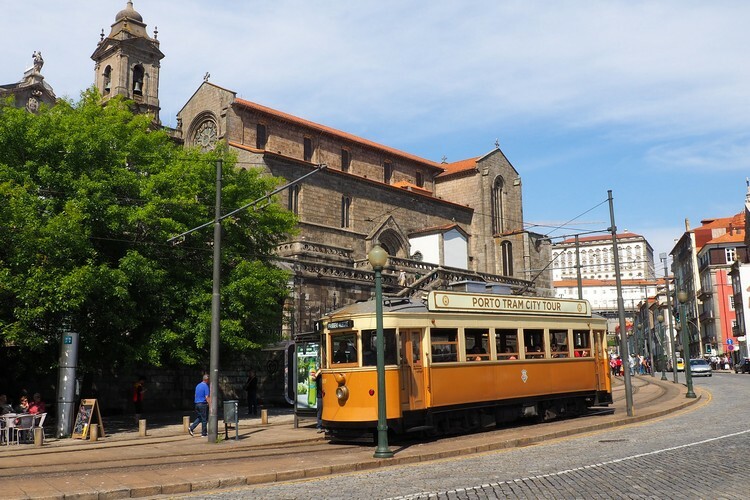 These vintage trams are still in operation but are mostly used by tourists. Notice the detailed stone road and sidewalks. 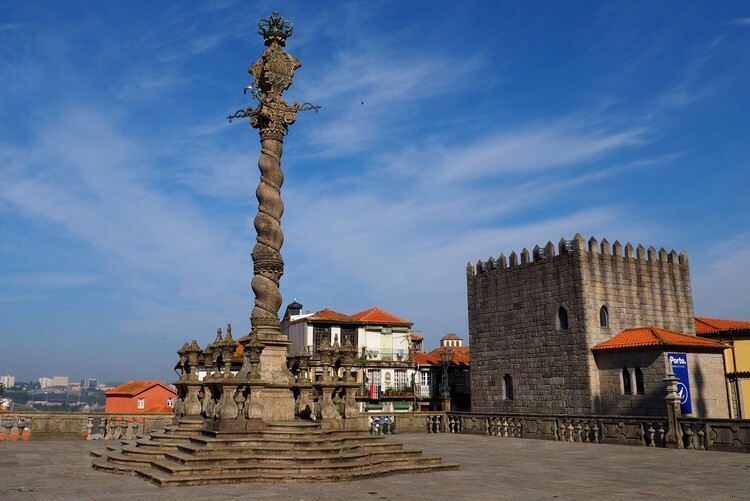 There is so much history in Porto. The above photo was captured while on a sunset cruise up and down the Douro River. This neighbourhood is located a few kilometers east of the Dom Luís I Bridge. Another aerial view from the upper-deck of the Dom Luís I Bridge. If you look to the left of the photo you will see the tracks for the Funicular dos Guindais, which began operations back in 1893. Above – the 17th century Church of Saint Ildefonso. Notice the detailed tile work on the façade of the church. It’s said there are approximately 11,000 azulejo tiles covering the outside of the church. 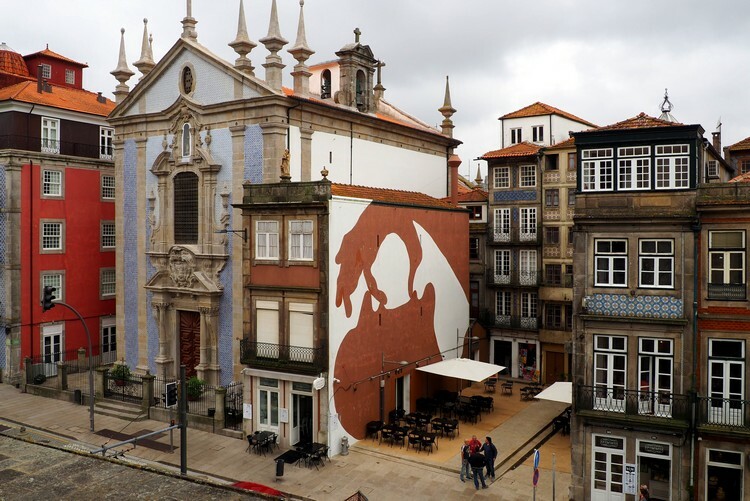 The architecture, tile work and street art in old Porto in amazing. 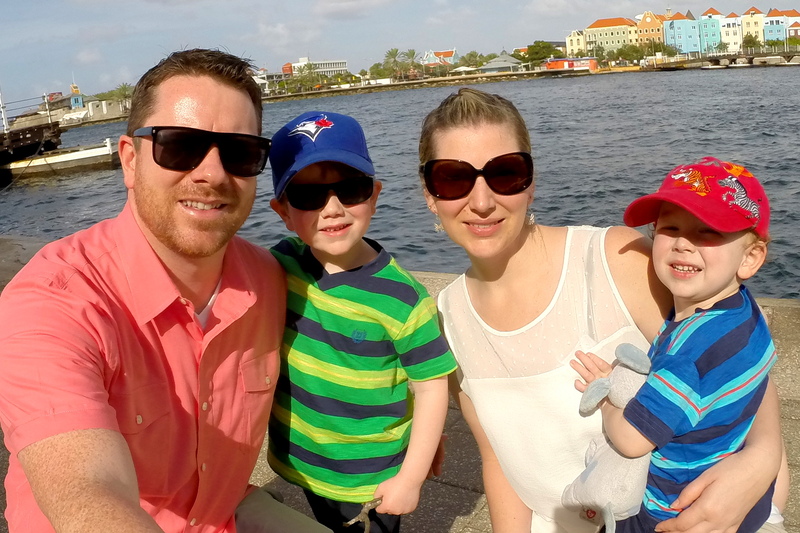 We easily took over 500 photos during a few days exploring the city. 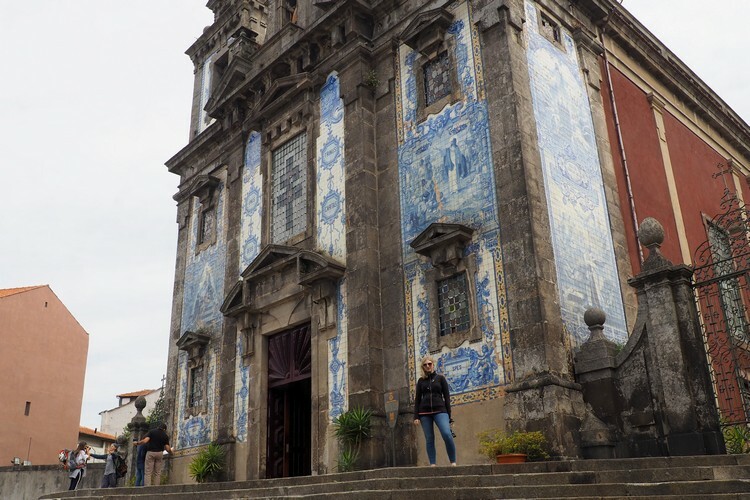 The front facade of the church is covered with thousands of blue azulejo tiles. 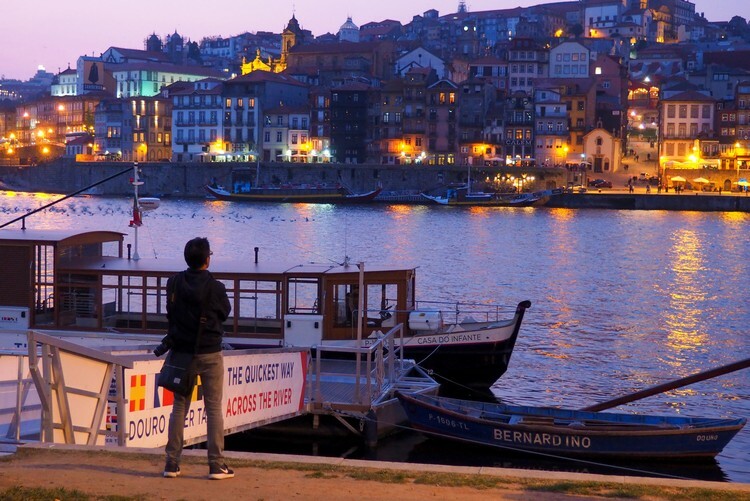 Evening photos of Porto from the banks of the Douro. It’s a fun place in the evening. Above – monument in front of Porto Cathedral. 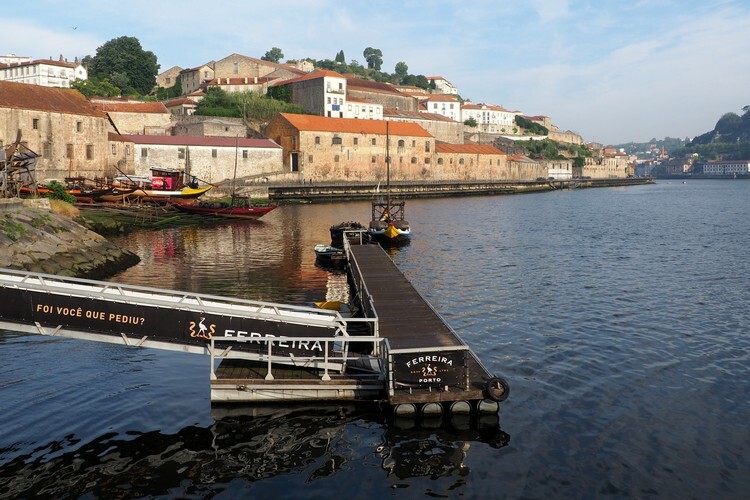 These warehouses are home to hundreds, if not thousands, of barrels of aging port wine. It feels like every street in Porto has an incredible church that dates back hundreds of years. 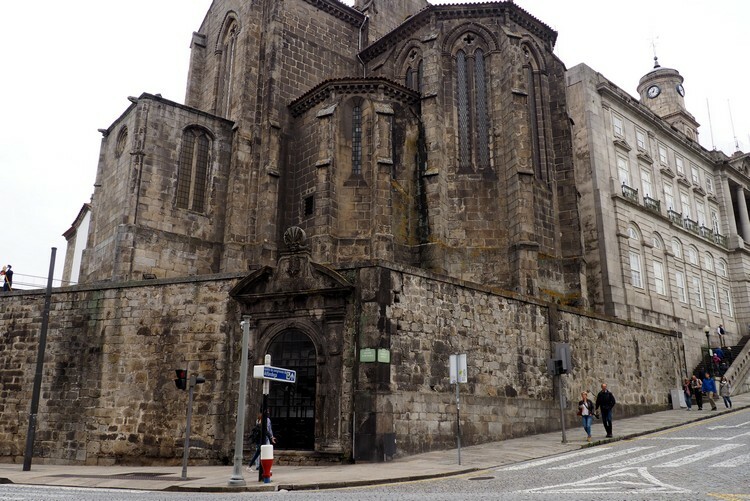 I believe this is the backside of the Church of São Francisco. This prominent Gothic church is one of the reasons why the historic centre of Porto was declared a UNESCO World Heritage Site. 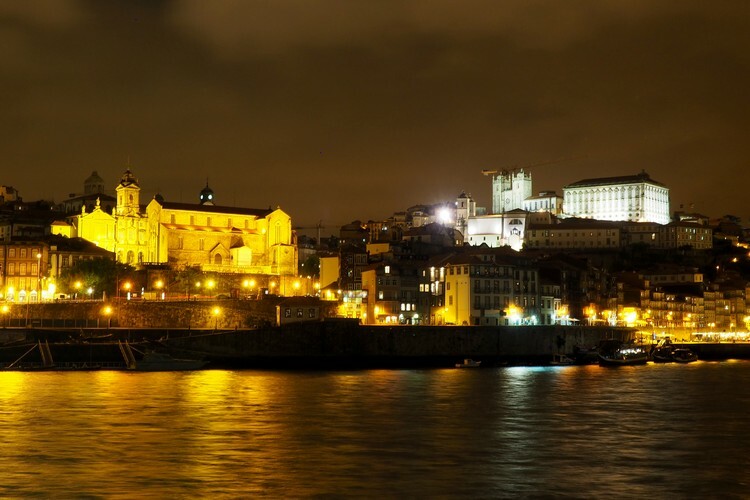 Above – views of Vila Nova de Gaia as seen from the Porto side of the River Douro. 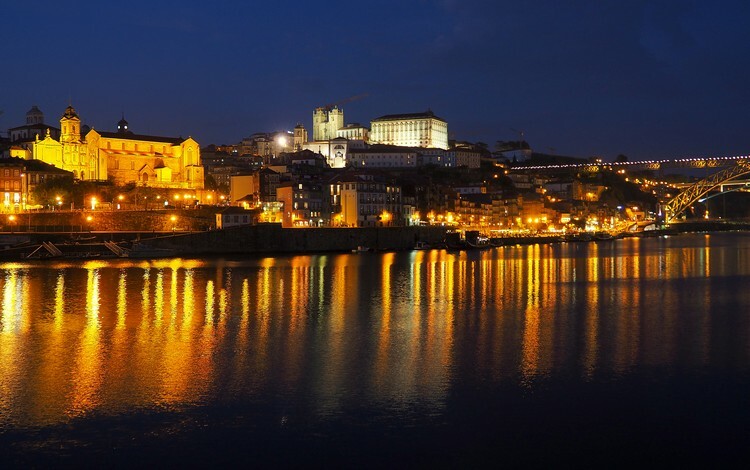 Above – the sun begins to set over the historical centre of Porto. 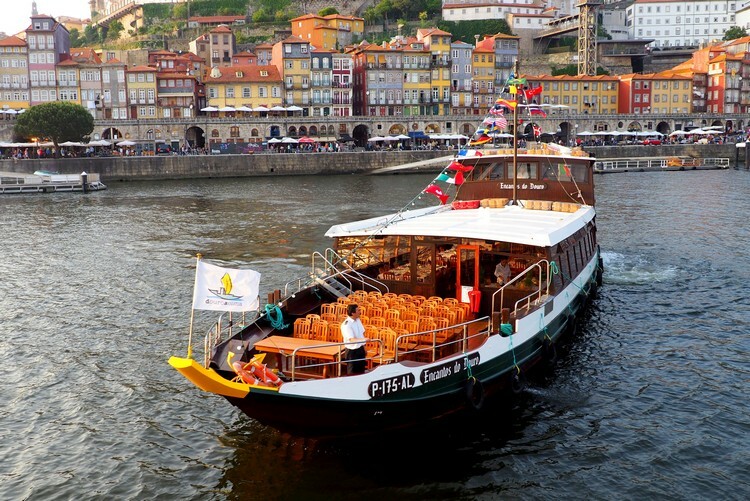 We captured this image from the sundeck of our river cruise ship that was docked in Vila Nova de Gaia. 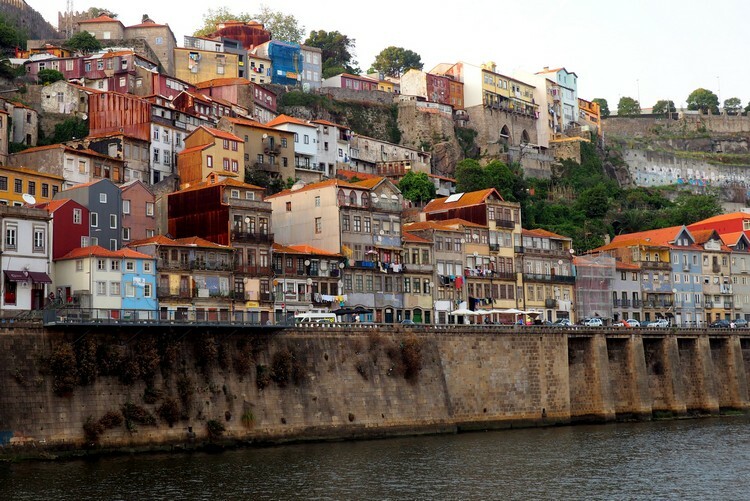 Read about our Portugal river cruise. 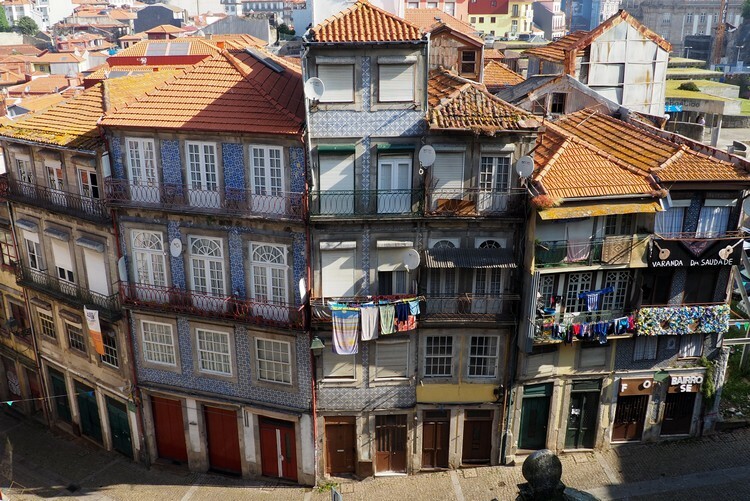 Did we mention the architecture in Porto is incredible? 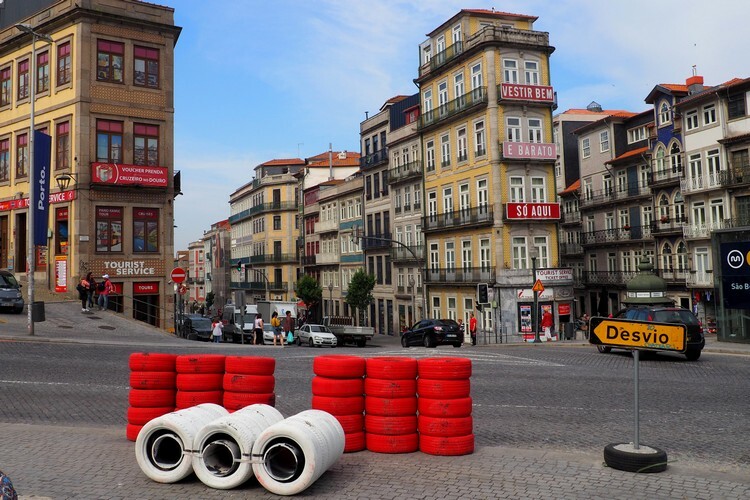 This is Ribeira Square. The old cathedrals are lit up at night. It’s quite the sight. When the church bells ring the sound vibrates across the river. It’s pure magic. 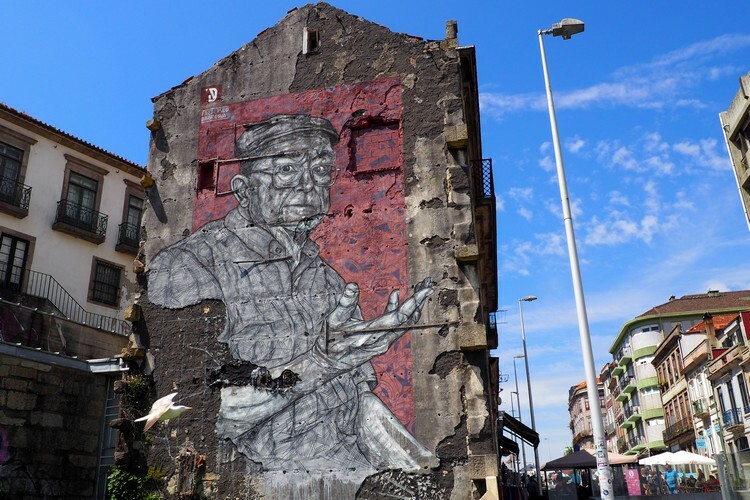 Above and below – random street art in Porto. 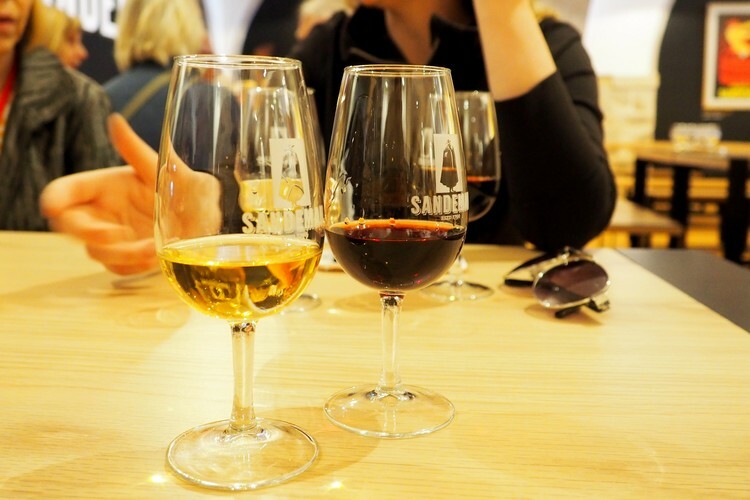 Above – the real reason you come to Porto – to sample its famous port wine. The double-decker Dom Luis I Bridge was designed by Gustave Eiffel, the same man who designed the Eiffel tower in Paris, France. He also designed the neighbouring Dona Maria Pia Bridge. 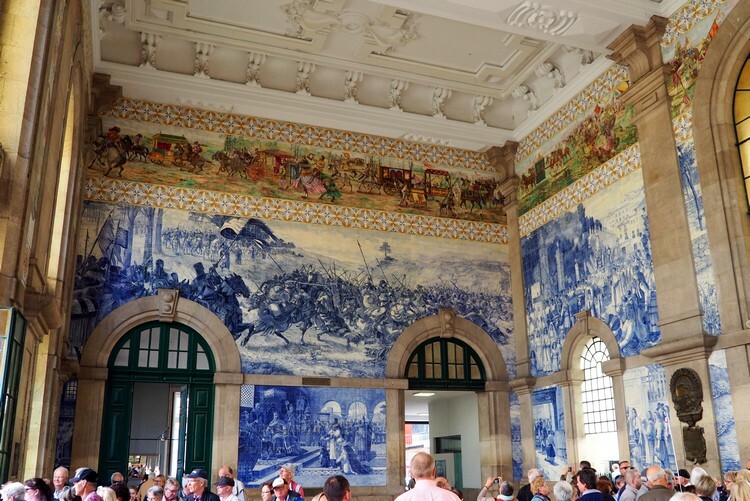 Above – beautiful azulejo tile murals inside the São Bento Railway Station, a 20th-century railway station in the historical centre of Porto. It’s said there are approximately 20,000 azulejo tiles in this section of the train station. 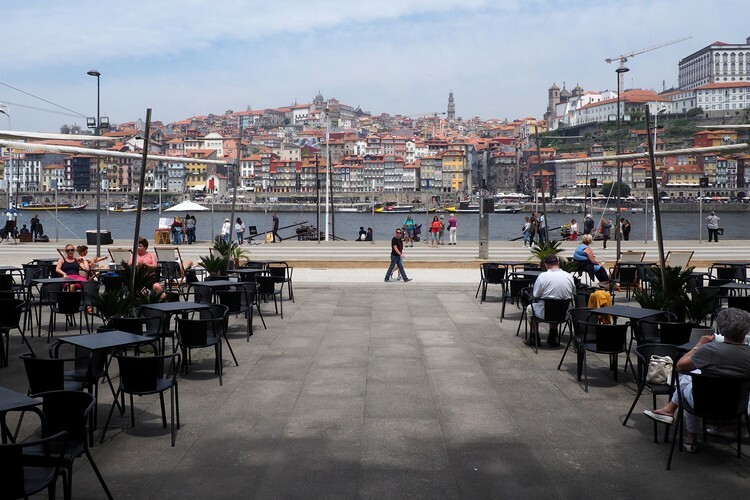 When the sun is shining, there’s no better place to be than on a patio enjoying a glass of traditional port wine and tapas while soaking up the spectacular views of Porto’s unique architecture. Do you follow us on Facebook? If not, stop by and say hi! The above photo sums up the contrasts of Porto. Beautiful azulejo tiles on the front of old buildings, yet covered with cheap spray paint. 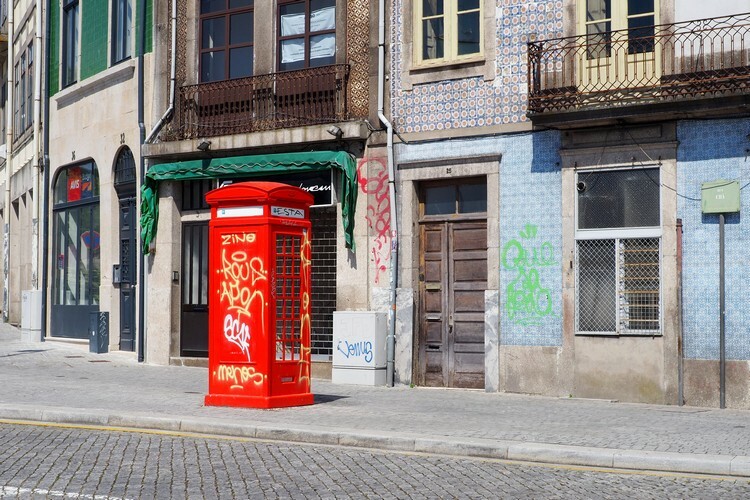 British-style red phone booth covered in grafitti, while resting on an intricate stone sidewalk that’s commonly known as Portuguese pavement. The doors and window frames have so much character, yet they have been neglected for years. It’s the classic struggle of old meets new. 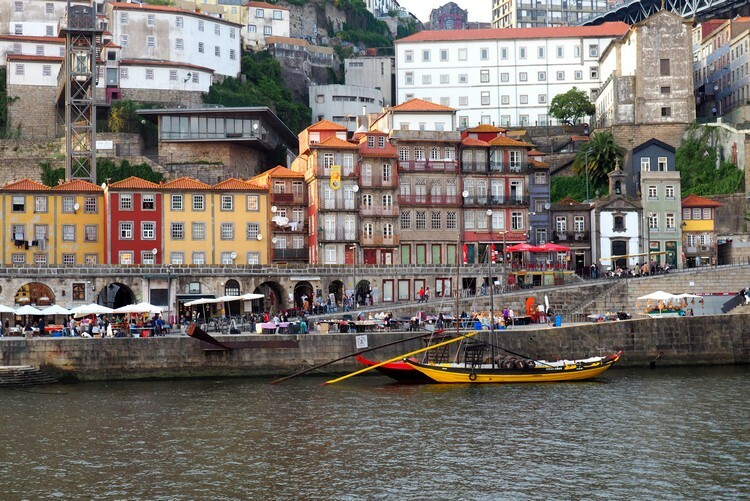 The above photo shows the amazing architecture and detailed tile work on the buildings that line the Douro River. It’s one of the most unique and interesting cities we’ve visited on our travels. 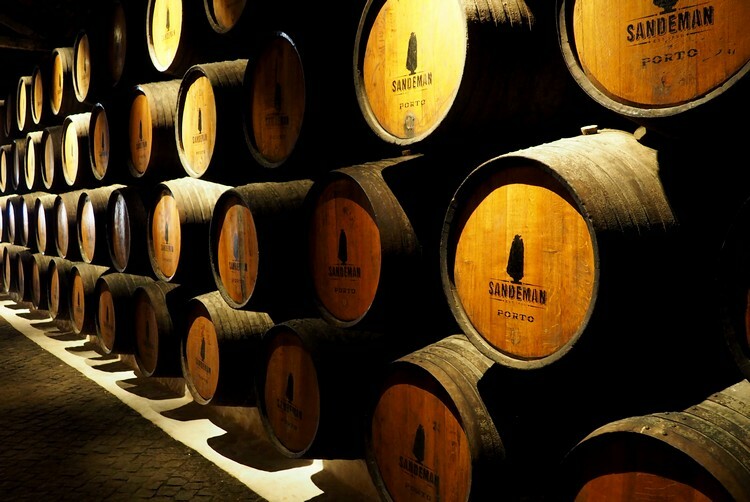 Inside the Sandeman cave, home to hundreds of aging barrels of port wine. It smells so good in there. 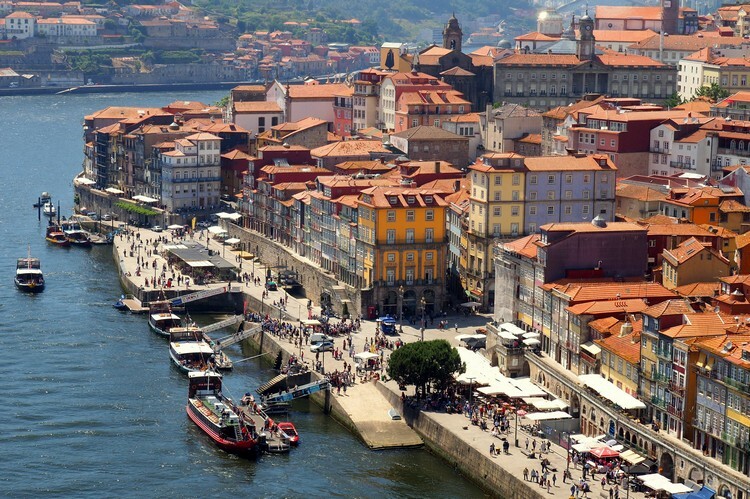 Did we convince you to add Porto to your travel list? 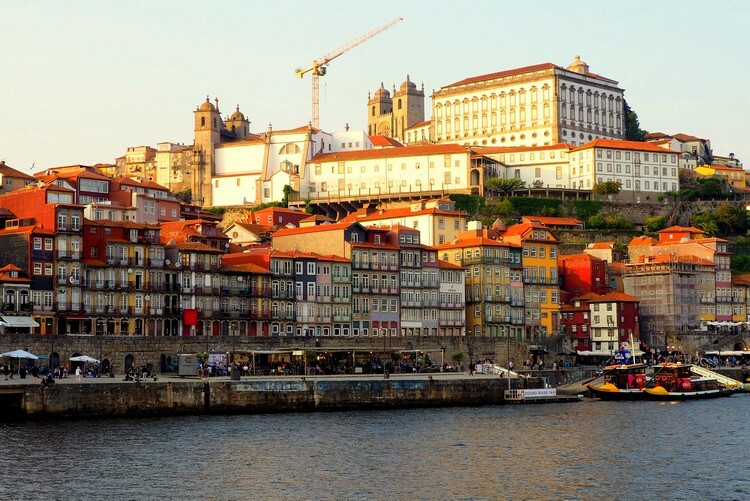 Have you visited Porto? Share your tips and recommendations in the comments section below. Lisbon totally exceeded our expectations! Here’s what we did. 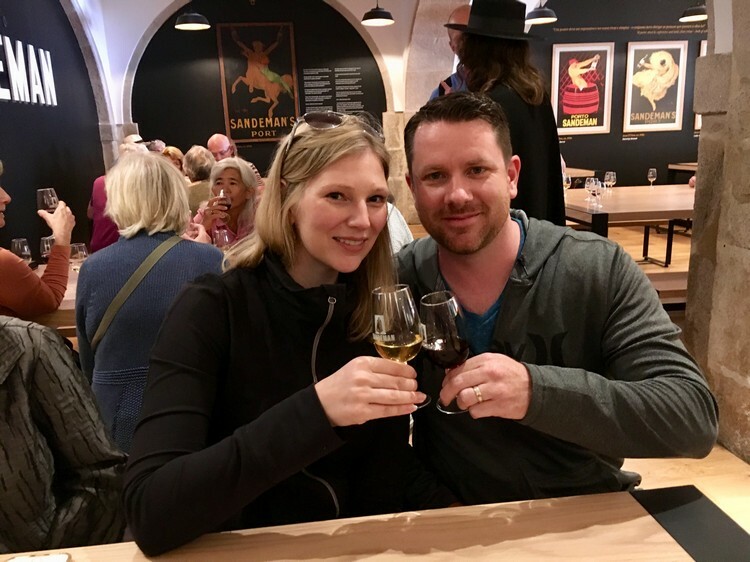 Here’s what we did on our Portugal River Cruise with Viking VIDEO: 15 Reasons you should visit Portugal’s River of Gold We’re going to Portugal on a River Cruise! Thinking about a European River Cruise? Here’s what you need to know. Definitely. 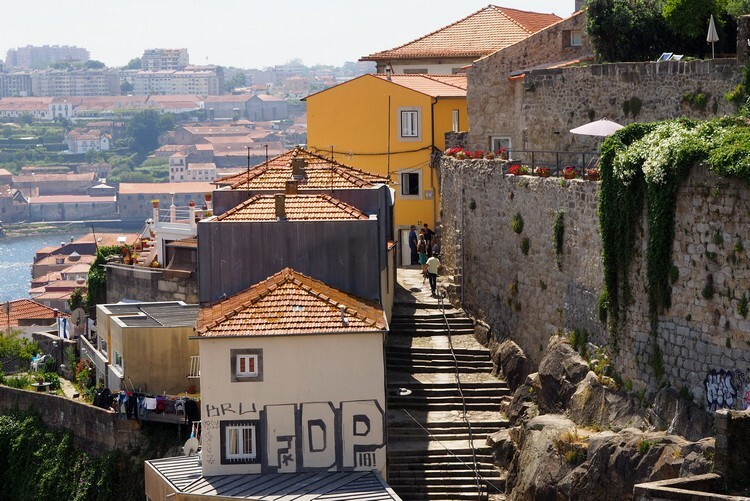 Portugal exceeded our expectations – especially Lisbon and Porto. Ahh Love these Nicole! – these photos are perfect! 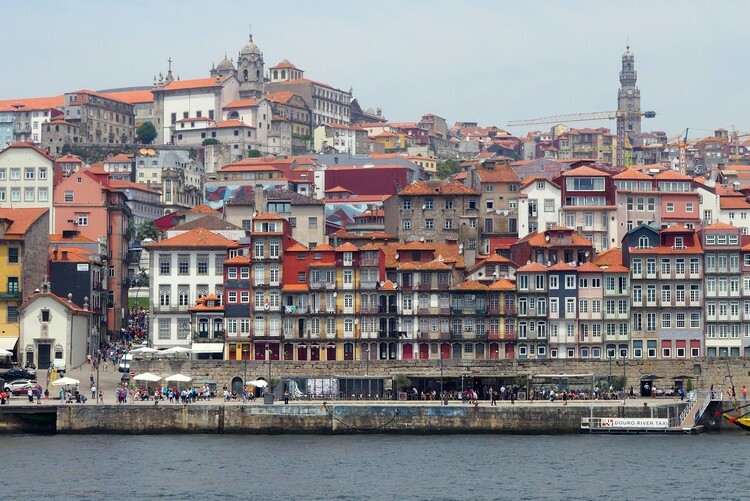 We are trying to decide where to head to in the fall and Porto is up there on the list to explore.